Interesting that they're using UE4 and they're not continuing with their in-house engine. I just love how "No MP" and "No Micro-transactions" became a selling bulletpoint for a game now, lol. Hopefully for the best, we'll see, but obviously the discussion around this is mostly around those things and less around the game itself, non surprisingly. I know people who work on this game, this has been in the works for a while now and I'm cautiously optimistic about it. Well being a Respawn game I’m not surprised they managed to carve out a deal allowing them to use whatever engine, I was curious to see if they were still going with their modified Source lol. 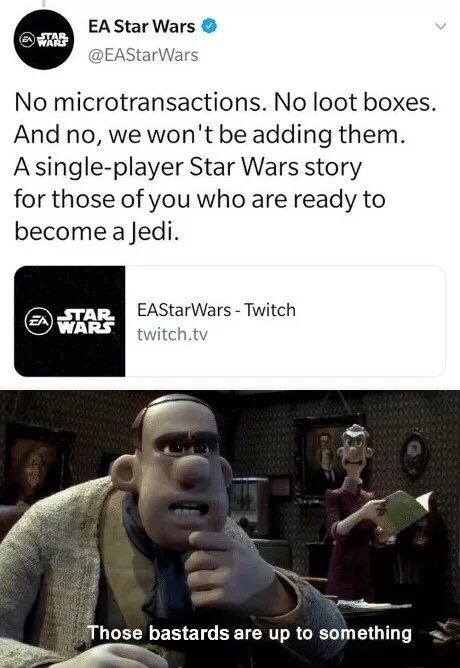 Microtransactions I’m more surprised, guess don’t make sense if a game is a SP. i didn’t follow the announce stream (obvs) only watched the teaser. I like the vibe of undercover Jedi. I believe that they have been planning to switch to UE ever since they started development on Titanfall 3. I believe the story was that the devs were no longer happy with the limits of source, so they decided to use the assets they already created to make a spin off game called Apex Legends. Anyway, seeing as Respawn is one of the only Triple A's still making non sell out games, hopefully we will see the first good Star Wars game in years. The teaser doesn't fill me with hope, simply because they seem to be trading off of the IP and the fact that it's single-player. 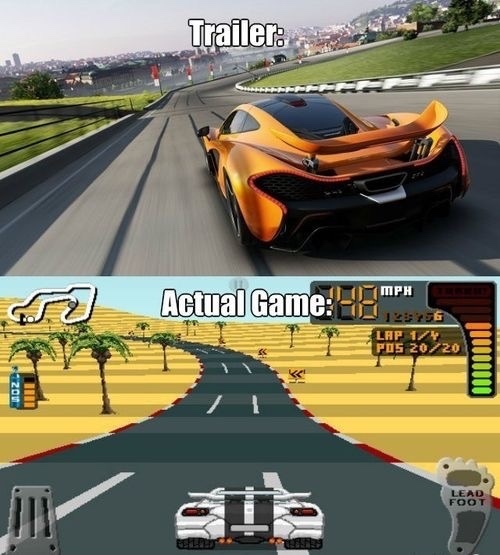 One would assume if there were any exciting gameplay features they would want to make a big deal about those too? I hope they convince me of it's potential at E3, as it was confirmed that they'll show more then. I think at the moment, the best way to imagine this is "God of War in space" as the interview I posted makes it sounds like they hired the God of War (2018) director for this purpose, and built a team around him. I don't think GoW had any particular feature, other than a really good and well told story (if I'm wrong apologies, don't have a PS4). Considering GoW was the 2018 GOTY they seem set up for success. You are confusing Cory Barlog and Stig Asmussen. You are confusing Cory Barlog and Stig﻿ Asmuss﻿e﻿﻿n﻿﻿. @Minos I'm most interested in seeing what scummy way they find to monetize the game into the ground.